The toddler program serves nineteen to twenty-nine month olds with an average of six children per teacher. By actively exploring different learning centers, toddlers learn to make choices, play cooperatively and begin to assume responsibility by putting away toys and materials. We encourage emergent language and signing as ways to communicate needs and settle conflicts. Through example, positive guidance and an appropriate environment, children thrive and learn with no more than the usual small upsets. The toddler rooms are arranged to encourage learning through play. The children enjoy open ended group projects such as painting, collaging, and making play dough, as well as sensory tables. 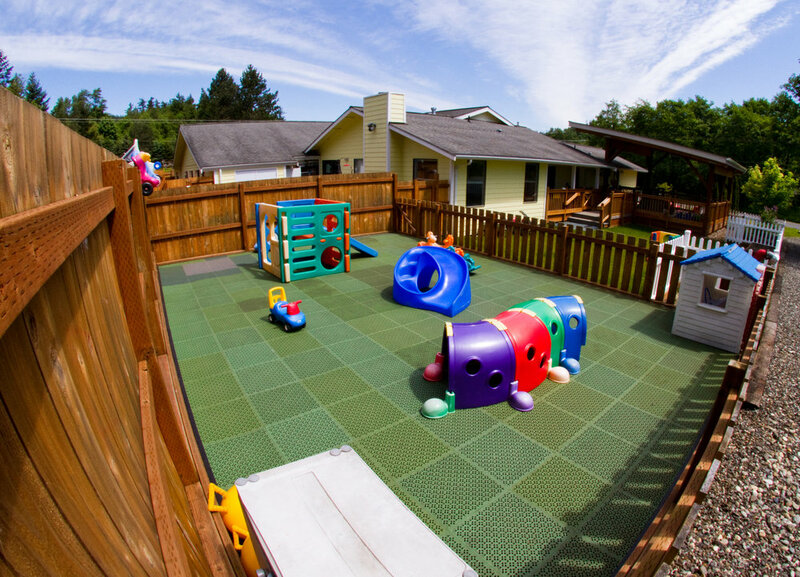 The children enjoy a large playground with the following sections: a covered play area for bikes and rockers, a garden, sandbox, grassy space, and cushioned area with climbers. We have 2 six-passenger strollers and take advantage of the Connelly Creek Nature Trail. 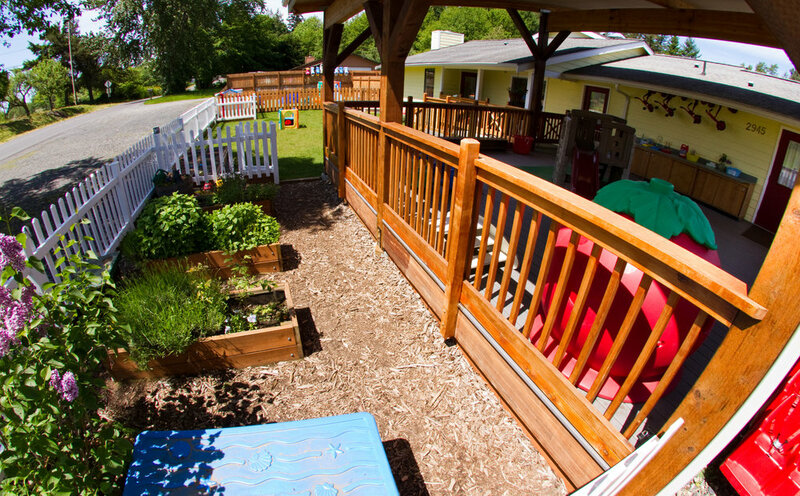 Plant the seed and reserve your toddler's spot today!